According to ProfitIndustry and many other websites, Shopify is among the best ecommerce platforms out there. More and more people are looking to get their merchandise distributed. And whether it is to get money and fame, those who are doing it will tell you that there are plenty of merits. While there are a lot of different ways to promote yourself, such as content marketing, guest posting or social media. Shopify has an advantage over the competition with the help of its apps. There are plenty to choose from, and you can build your empire with nothing but free applications. 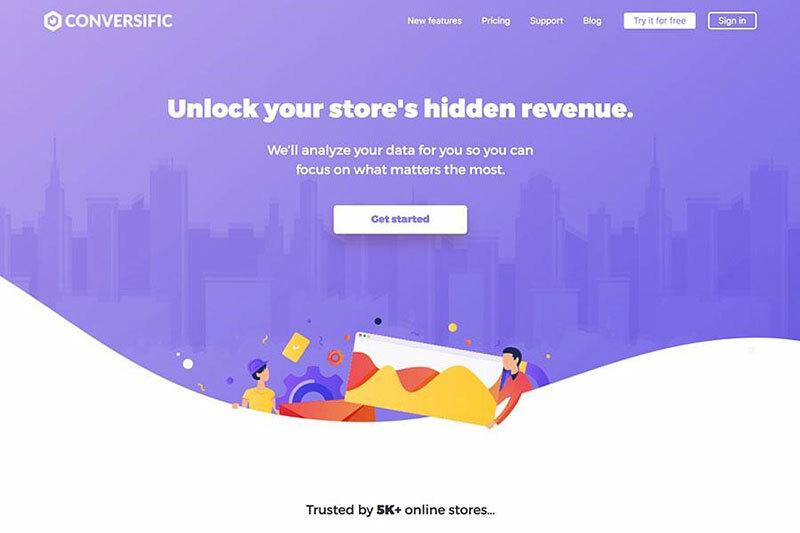 Those who want to get the most out of their business should read below and consider using either of the shopify apps that are recommended for 2019. One of the best ways to attract people to you is by offering free stuff. And hardly anything covers that as well as games. 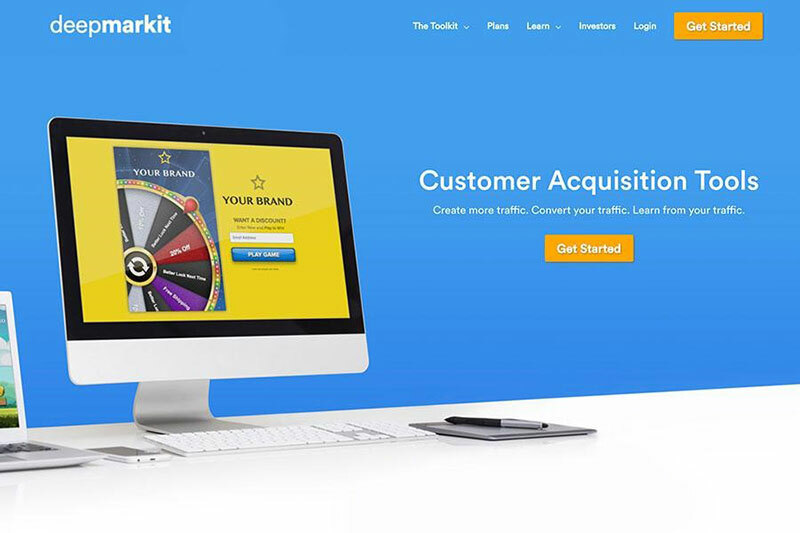 For premium rewards and games the best Shopify conversion app is definitely this one. You can come up with all sorts of ideas and offer incentives to customers. You can sign-up for a free 7-day trial and determine whether it will be something that you want. Finally, it is worth mentioning that there are constant updates to the application, making it even better. Having all the information available to you on the go is pretty crucial. 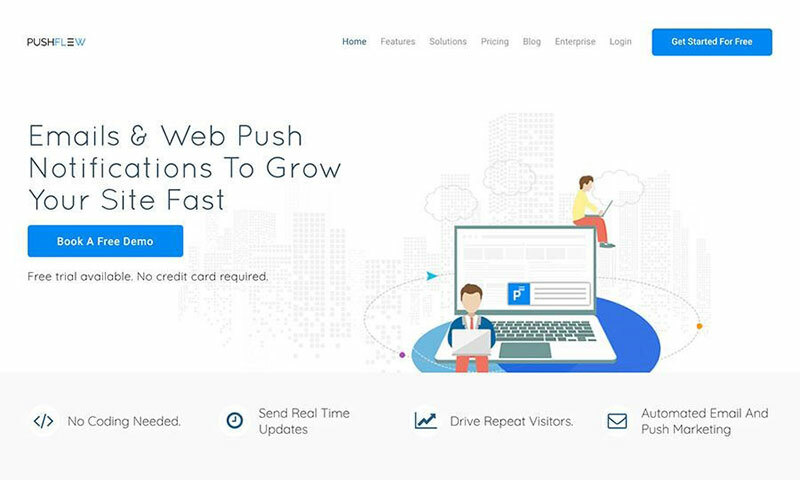 Conversific ecommerce analytics tool does just that. No matter how big or small your ecommerce website is, you will have to deal with numbers which are all over the place. However, using this app will solve the problem. According to the users, it also helps greatly with finding holes in your marketing and conversion optimization. Creating an account for the app will not cost you anything. After a few days, you should be able to decide if you want to continue with it. Anyone who has been drop shipping will tell you how much of a challenge it is to keep track of everything. The bigger your store grows, the harder it gets. Everything is pretty simple with this one. 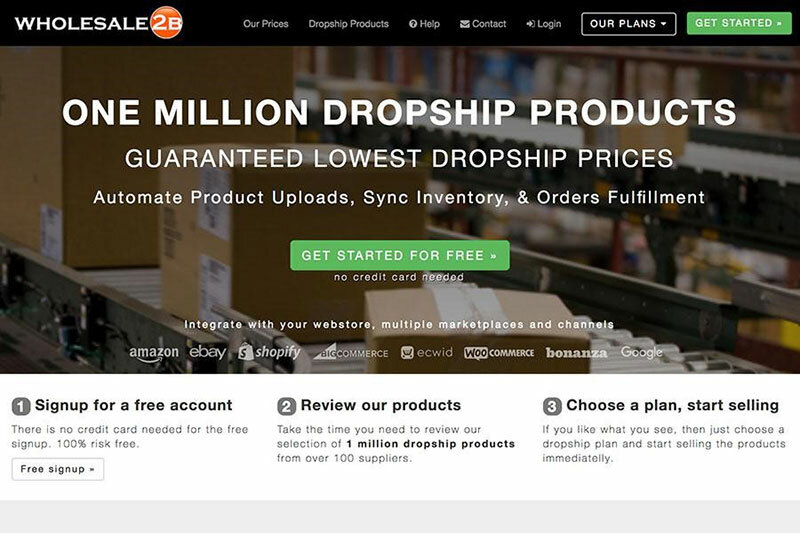 Dropship on Shopify with Wholesale2b.com – add thousands of dropship products to your Shopify store in just minutes. On top of that, you can keep tabs on your inventory and make sure that everything is in sync. It is also worth mentioning how it automates the process of order fulfillment, making it a one-click procedure. Reviews are crucial if you want to outshine the competition and show yourself as a competent seller. 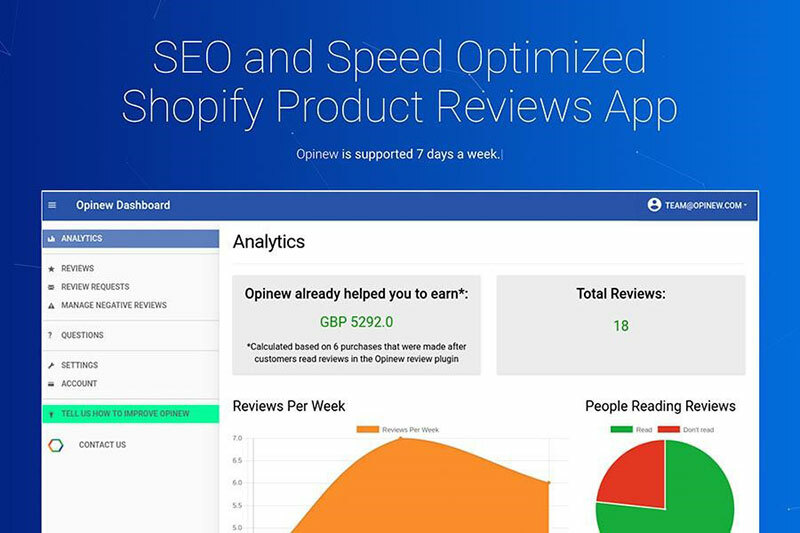 Opinew Shopify product reviews app and importer can make your life a lot easier. It is one of the most recommended apps out there which provide value, plenty of great functions and excellent customer support. Dropshippers can offer coupons, import reviews from the likes of Amazon or Aliexpress, manage social media, and deal with negatives by using this product. No matter which plan you will choose, it will have all the necessary features. There are quite a few reports orders Shopify can generate on its own. Nevertheless, those who want to delve deep into their business and have all the possible insights will never be satisfied with that. Luckily, you can get an easily customizable data generator. 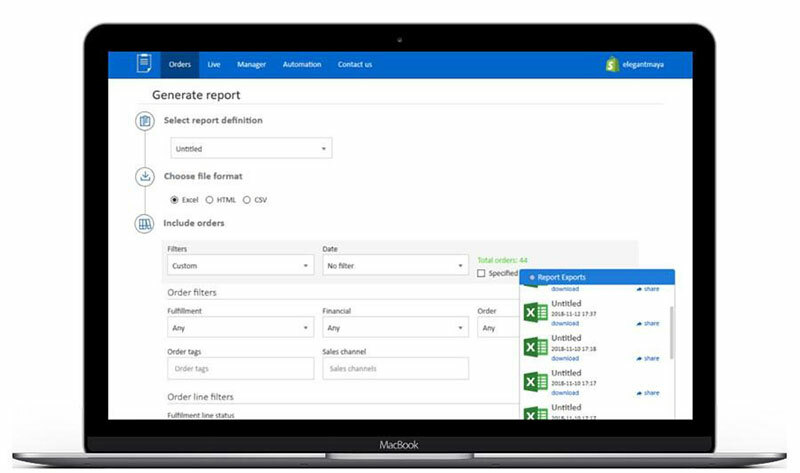 Precision and minuteness are two words that describe EXPORT OrderPro the best. Once you get the hang of the app, you will be able to automate your ecommerce empire and see the money coming in. The app allows you to see live reports on sales, inventory, payments, refunds, and many more. Pushflew – push notification app, just like the name suggests. While it might not seem like that big of a deal, getting notifications whenever there is a sale or a refund can make everything a lot better, which includes a boost in sales. Of course, it is difficult to understand what the app is all about without trying it firsthand. Given that they are offering a free trial, you should not hesitate and hop right in. It will not cost anything to at least looking what all the fuss is about, right? The Bulk Price Editor by Buymaxx is one of the most flexible apps for Shopify. Those who are just starting out might not be too interested in it, but even then, consider it for future use. Meanwhile, those who are dealing with big volumes of work should be familiar with how bothersome it is to keep track of prices, inventory, and so on. This tool is a brilliant app that can help you set everything in order and make everything easy. Not to mention the possibility of reverting changes with a single click. That is, of course, if you need that to happen. The developers behind this one are always looking for feedback from the customers. They are constantly making changes and updating the app as soon as they come up with a way to make it better. And there you have it. 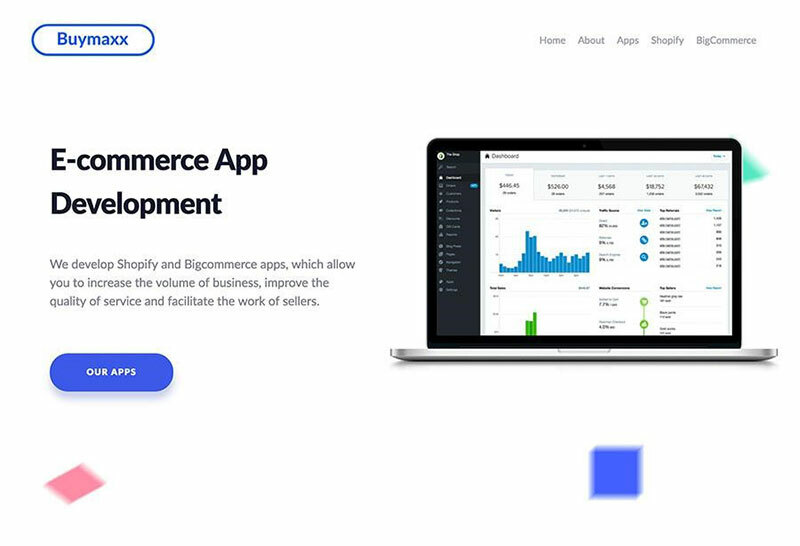 These 7 apps are without a doubt among the best extensions that you can use for your Shopify ecommerce website. The tools are definitely worth your attention and should make everything a lot easier. Improvement in conversions and getting rid of all that manual labor is what you are looking for, right?